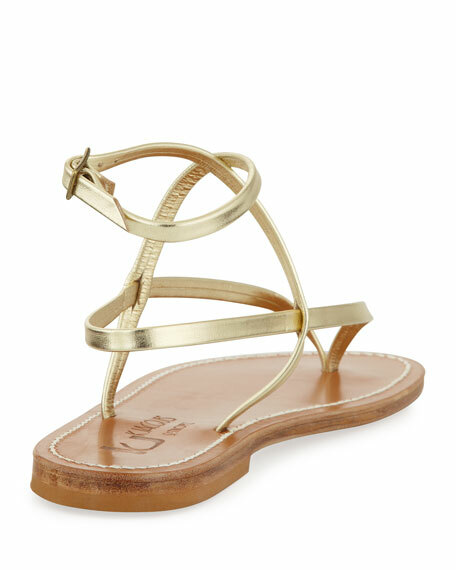 Metallic straps wrap the ankle of this K. Jacques sandal, crafted with timeless St. Tropez style. "Delta" is made in St. Tropez, France. 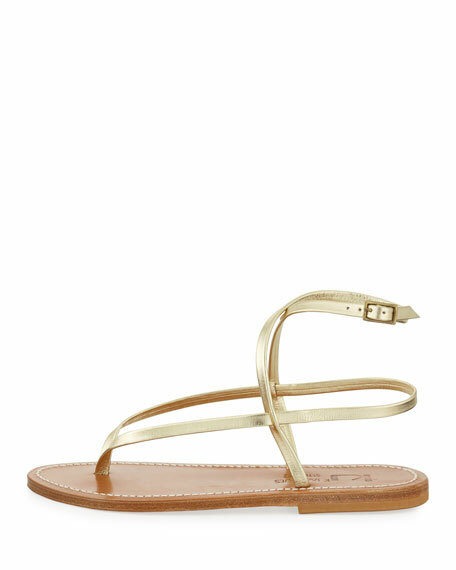 Unfussy and to the point, K. Jacques sandals look great and feel good. 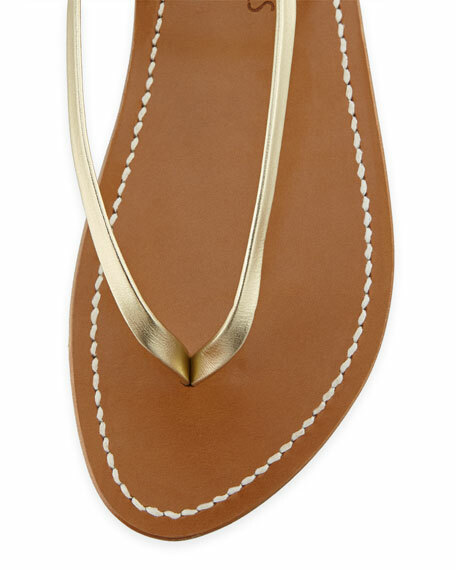 The company was founded in Saint Tropez in the 1930s, and these precisely crafted shoes epitomize luxurious French craftsmanship. 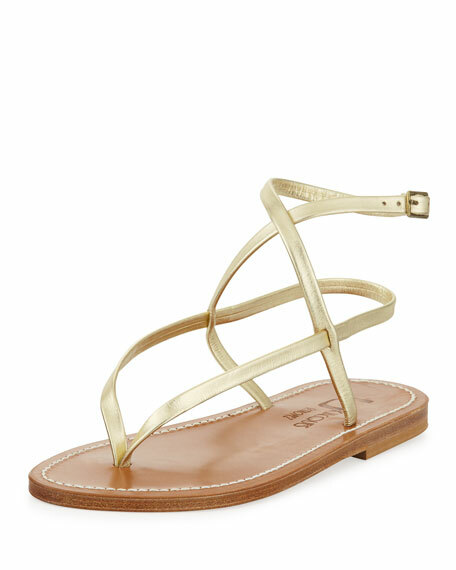 Simple strappy leather designs make them your go-to warm-weather shoe. From beach to boardwalk, you'll feel right on trend with their colorful designs and exotic prints. For in-store inquiries, use sku #894930.